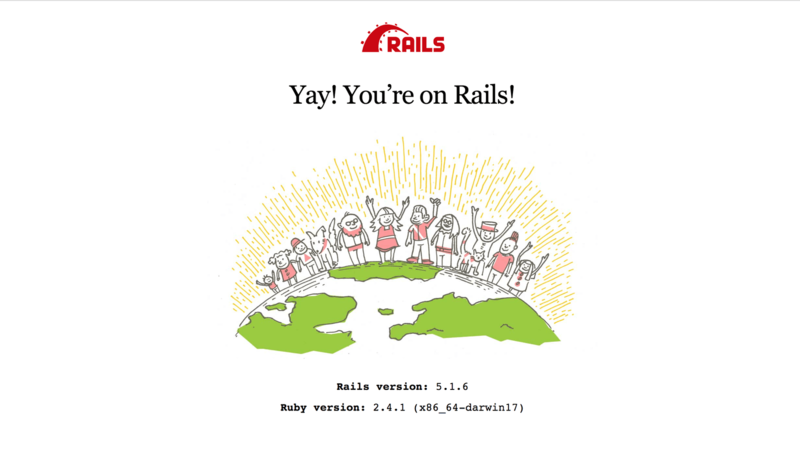 You will need Ruby 2.2+ and Rails 4.2+ installed on your machine. With the advancements of technology came new ways of doing things. About 20 years ago, the major source of obtaining information was from printed publications. Now, people don’t buy as many printed publications as before. They visit the websites of media publications, consume information and then continue with the rest of their days. This has come with numerous advantages with the major advantage being how fast it is to get the new articles to the readers. 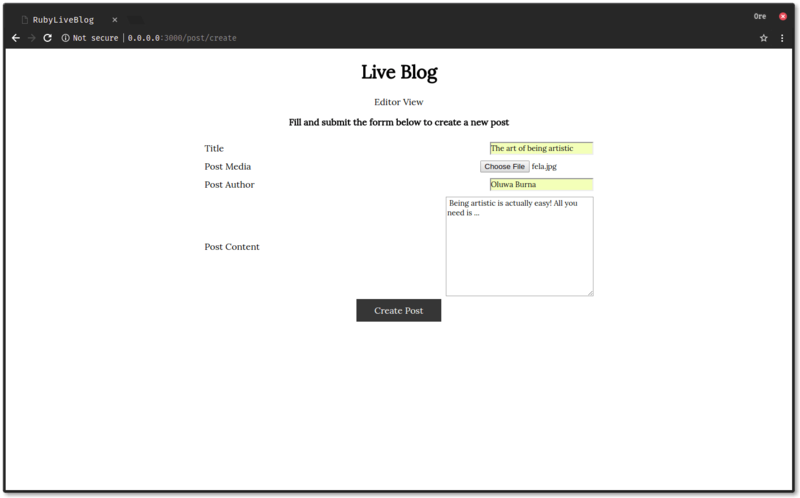 In this article, we are going to create a live blog application that allows readers to see new posts in realtime as editors publish them. 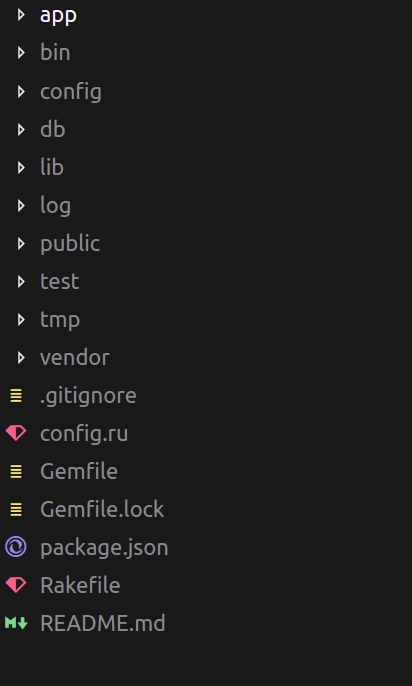 To do this, we are going to use Ruby on Rails and Pusher. If you get their version numbers as results then you’re good to go. To display blog posts to users, there has to be a place where the application stores blog posts. To store the blog posts, we need a database. 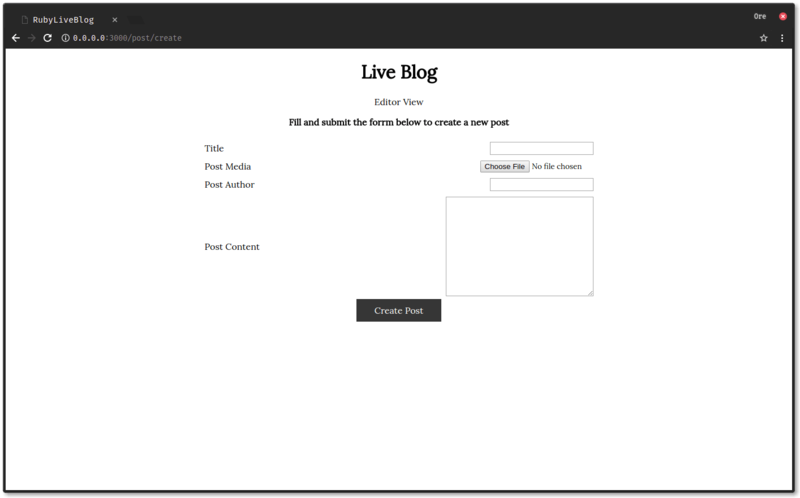 For this live blog application, we are going to use SQLite as the database for storing information. This creates the database in the db/ directory of the project if they weren’t automatically created before. At this stage, the database structure is all set and we have created the post model. The next thing to do now is to allow editors upload new blog posts. The create route is responsible for accepting the post data from the editor and the store route is responsible for storing the data in the database. At this point, the application is almost complete. Notice that in the create view, we specified that the form should be submitted to the /post/store route but we did not show how the post was saved. We will look at how to save posts in the next section. To save images for the new posts, we will use Cloudinary. Cloudinary takes care of all your image and video manipulation needs when building applications. Cloudinary has a Ruby gem that will be used to handle the file uploads. Currently, the only way users get access to new posts is if they refresh their browsers. We need a way to automatically add new posts to the page as they are created and this is where Pusher comes in. Pusher allows you to integrate realtime functionality in your applications with ease without worrying about infrastructure. To get started with Pusher, sign up for a developer account here. When you’re done with that, create a new application and note your credentials as you’ll need them as we progress. The Pusher credentials can be obtained from the pusher application dashboard. When a post is successfully saved in the database, a new-post event is triggered in the posts-channel. For debugging purposes, you can see events that have been triggered by your application on the Pusher dashboard. 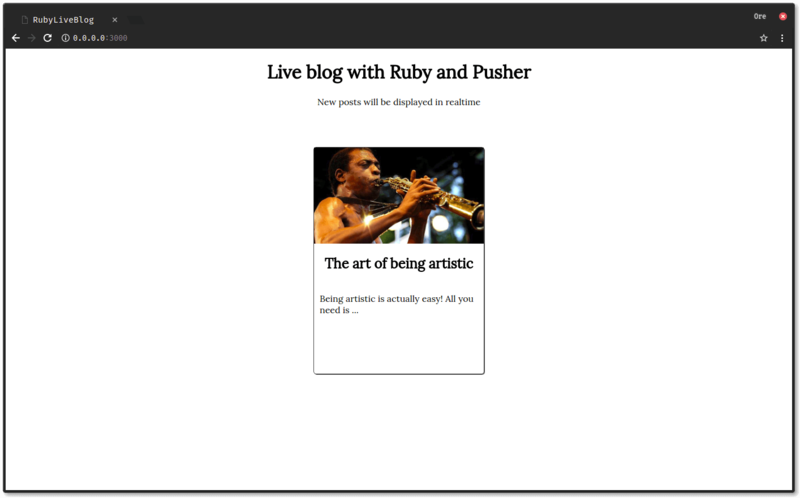 In this article, we looked at how to use Ruby and Pusher to build a live blog with realtime updates when new posts are created. You can leverage the concepts shared here when building your own application that needs realtime functionality. The complete source code of this demo application is available on GitHub.